Recently several albums by female singer-songwriters reached the desks of WoNo Magazine and with albums by Odette and Nina Nesbitt nothing happened between myself and the music on the two respective albums. Nothing beyond the idea that nothing happened. I kept asking myself the question: 'When does this album finally start and come alive'? It didn't. Enter Emilie Kahn. Her album Outro is not an epitome of explosions nor wildness, yet her album contains music that touches on the right strings. Kahn definitely belongs to a subset of modern artists. Her music holds modern electronics and a faint hint at modern rhythms. At the same time she references on a world of fairytales and mysteries not unlike Kate Bush used to do in her early work and not just because of the use of her voice. 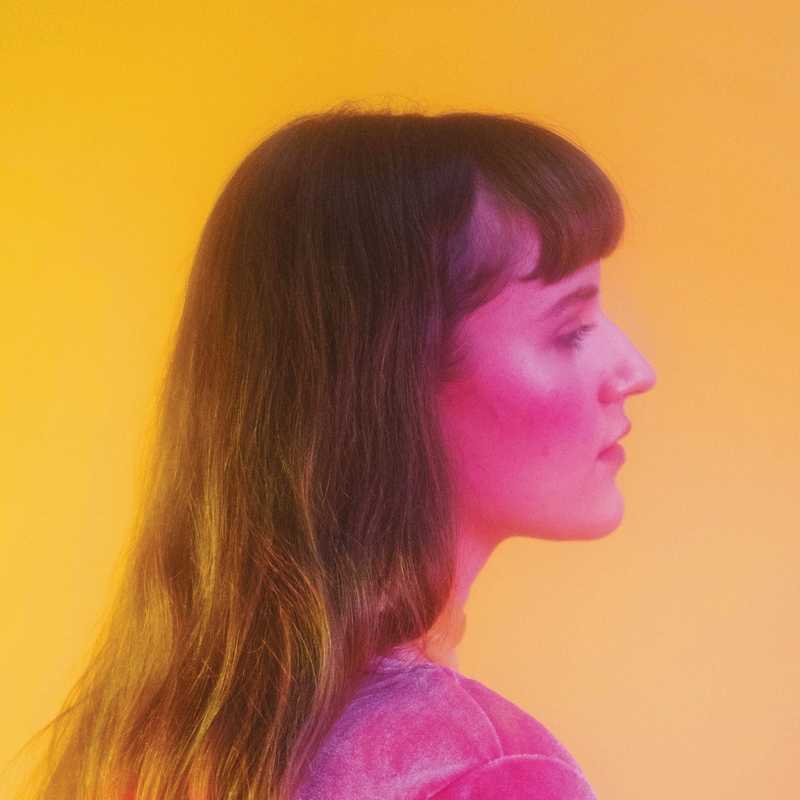 In 2015 Emilie Kahn entered the pop world with her album '10.000' under the name Emilie & Ogden. Somewhere in the past years Montreal, Canada based Kahn decided to drop the Ogden part and continue under her own name. On Outro, a somewhat ominous name for an artist with only two albums to her name, she manages to manoeuvre between brittleness and electronics in a way that is convincing. Nine songs, except for one all with just one word for a title, suggesting a directness that is belied by the music. Outro is anything but direct. Emilie Kahn manages to pull layers of cloaks around and over herself and her music, adding to the mystery that makes up Outro. At her most open, Kahn reminds me of Anne Tivel's album of a few years back. Small, delicate, fragile music even. A female voice, an acoustic guitar. 'Swimmer' opens Outro this way, but slowly more and more enters the song. A harp, Ms. Kahn's instrument, is a direct instrument, the atmospherics around the voice is not and this is where the mystery making up a part of Outro enters. It is even as if Emilie Kahn is singing ever more hesitantly, almost like being unsure whether to continue or not. Oh, yes, I'm intrigued, tenfold Ms. Tivel's album that leaves nothing to guess or wonder about, just mildly enjoy. 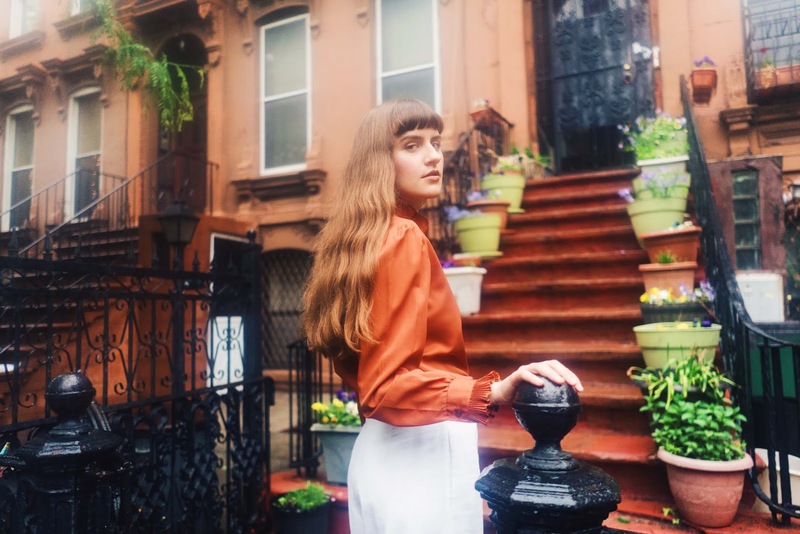 Although I do file Outro more under pop than under folk, Emilie Kahn manages to play with her pop music in a way that makes it extremely interesting. In each song something happens that makes me want to hear more. Curious for the next small or big change and pleased by the quality. Outro is a fascinating album in more than one way and these are the better ones.